I heard from MIT Press yesterday that they want to publish a book on Code/Space I am writing with Rob Kitchin. This is good news as I think MIT Press have a great roster of books in computer science/new media and will do a good job in production. I'm off to Munich tomorrow for second year fieldtrip. Abstract: In this paper we argue that cartography is profitably conceived as a processual, rather than representational, science. Building on recent analysis concerning the philosophical underpinnings of cartography we question the ontological security of maps, contending that it is productive to rethink cartography as ontogenetic in nature; that is maps emerge through practices and have no secure ontological status. Drawing on the concepts of transduction and technicity we contend that maps are of-the-moment, brought into being through practices (embodied, social, technical); that mapping is a process of constant reterritorialization. Maps are never fully formed and their work is never complete. Maps are transitory and fleeting, being contingent, relational and context-dependent; they are always mappings; spatial practices enacted to solve relational problems (eg, how best to create a spatial representation, how to understand a spatial distribution, how to get between A and B, and so on). Such a rethinking, we contend, provides a fresh perspective on cartographic epistemology, and could work to provide a common framework for those who undertake mapping as applied knowledge (asking technical questions) and those that seek to critique such mapping as a form of power/knowledge (asking ideological questions). We illustrate our argument through an analysis of mapping practices. Key words: cartography, maps, ontogenesis, ontology, practice. 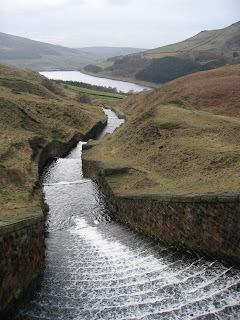 Went for a long walk around the Dovestone and Yeoman Hay reservoirs at the weekend. A lovely location, just a shame the sun was not out. This view was taken by a manmade waterfall above the reservoir. 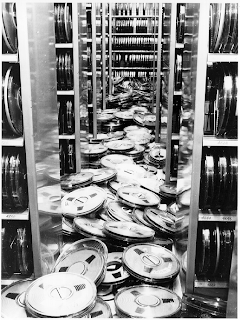 A 'local' copy of my new paper ‘Outlines of a world coming into existence’: pervasive computing and the ethics of forgetting is available here. Just finished reading this. 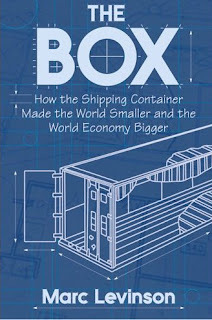 Containers are a fascinating and important story. The book itself is a good read, but rather dry in parts. It could have benefited significantly from having some photographs of the people, ports and ships being discussed. I have been invited to participate in a workshop on 'Designing for Forgetting and Exclusion' at UCLA in April 2007. Here is my short position paper, Do we need an ethics of forgetting in a world of digital ‘memories for life’. This work is based largely on a paper I did with Rob Kitchin that is (just about) published in the journal Environment and Planning B, the citation of which is: Dodge M, Kitchin R, 2007, "‘Outlines of a world coming into existence’: pervasive computing and the ethics of forgetting" Environment and Planning B: Planning and Design.